Meanwhile, Nawaz was arrested and thrown into an Egyptian prison, where he spent four years before beginning his slow journey out of radical Islamism. By the time he emerged, he had decided to dedicate his life’s work to reforming Islam from within. He started Quilliam, a counter-extremism organisation. Islam and the Future of Tolerance tells the story of an unlikely conversation on a topic of grave importance, and how it changed two foes into friends. After graduating from Melbourne’s Deakin University with a Bachelor of Arts (Media Arts: Screen Studies and Photography) in 2005, Desh soon realised that this was merely his first step into a world of many successes, many more uncertainties, painful growths and profound realisations. 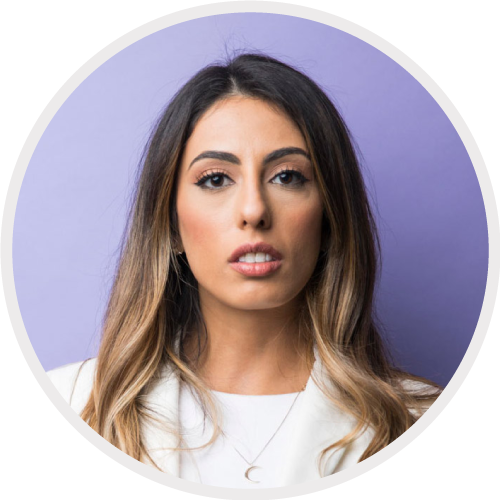 Suzi Jamil is the Owner and Director of Think Inc., a young Australian-based initiative dedicated to the promotion of intellectual discourse through world-class events. Launched in 2014, Think Inc. has become a platform for promoting big ideas; stimulating and engaging independent, rational thinking; and celebrating scientific discovery. Think Inc. has hosted Neil deGrasse Tyson, Steve Wozniak, Edward Snowden, Brian Greene, and other eminent thinkers. Suzi holds a Bachelor of Arts in Communications from the University of Technology, Sydney and a Juris Doctor from the University of New South Wales. She has more than six years’ experience as a professional communicator. 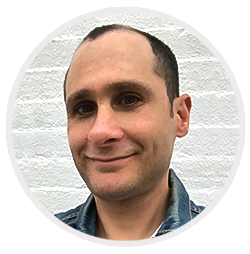 Aaron is currently the Director of Audio Visual at The Museum of Modern Art (MoMA), on the Board of Directors at 3-Legged Dog Media + Theater Group, the Chairman of the Board for the non-profit, Ideas Beyond Borders, and a freelance Producer. Recent Producer credits include a co-production with BAM and WNYC for RadioLoveFest entitled ISLAMOPHOBIA: A CONVERSATION, a panel debate moderated by WNYC’s Brian Lehrer. Aaron was formerly the Producing Director at 3LD Art & Technology Center where credits include 3LD’s co-production with The Public Theater of THE HUMAN SCALE, written/performed by Pulitzer Prize-winning Lawrence Wright, directed by Oskar Eustis (2010 New Yorker Festival); MAKING UP THE TRUTH, written/performed by “This American Life” regular Jack Hitt; SPY GARBO, the Drama Desk-nominated off-Broadway production directed by Kevin Cunningham; and the off-Broadway run of Marielle Heller’s THE DIARY OF A TEENAGE GIRL, directed by Sarah Cameron Sunde and Rachel Eckerling, now a major motion picture. Other credits include 3LD’s video design and installation in The Modern Woman gallery at The Metropolitan Museum of Art. Aaron is also the author of a number of books including the 2003 novel, “Things That Hang From Trees” and the 2006 Aviles Street Productions screenplay adaptation. The film premiered in New Directors/New Films and SXSW and won “Best Film” in Corto Imola International Film Festival (Bologna, Italy) and “Best American Independent” in Troia International Film Festival. (Lisbon, Portugal) and was distributed by Radio London Films in 2007.. The collaboration has galvanised a movement in which courageous voices speak up (and speak louder) about the need for reform to correct Islam’s incompatibilities with 21st-century liberal values. If you have any questions, media enquiries, opportunities, or just want to show your support, please get in touch.